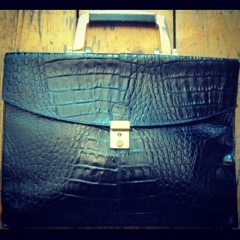 I am parting ways with my beloved Real Leather crocodile effect brief case style bag. Fabulous as it is I feel I need to make room for many new purchases! Perfect for any glamourous business women out there!